If the tip of your middle finger has suddenly become numb, here is some reassuring news. It’s hard to ignore numbness in the tip of your middle finger. However, the extreme locality of this should be a tip-off (no pun intended) that it’s benign and not a sign of MS or some other neurological disease. For this article I consulted with Anthony P. Geraci, MD, associate professor of neurology at Donald & Barbara Zucker School of Medicine in New York. I was inspired to write this article after I developed numbness in the tip of my middle finger. It didn’t take long for me to connect the dots, though at first, I was stumped. 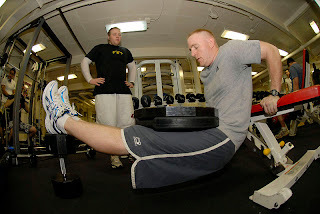 The day prior, I had placed a lot of pressure on it while doing bench dips at the gym with a lot of weight on my lap. Below is what this exercise looks like. Note the man’s left hand. Imagine the pressure against his middle finger as he pushes up. When pushing up during this exercise against heavy resistance, one cannot help but press the middle fingertip really hard against the underside of the bench. It’s nearly impossible not to do this. So how, then, might this cause numbness? In a neurological disease, numbness would not be in such a tiny, pinpointed area in the absence of other symptoms. If you have numbness in your middle fingertip, think very carefully what you’ve done earlier that day or the day before. I did, and at first, it didn’t come to me what I might have done to put pressure on it. Then I remembered the dips. The fact that numbness is in only one finger and not the same finger in the other hand, in no way points to a disease! It’s quite common to exert force unequally when exercising under a heavy load. What happens in meralgia digitalgia is that the pressure (in my case, pressure against the underside of the bench) compresses the nerve that supplies sensation to the skin surface of the fingertip. In my case it took two or three days for the nerve to decompress and full sensation to return. There is no need for treatment other than patience. It’s worthwhile to note that carpal tunnel syndrome can also cause numbness in the middle fingertip (my mother experienced this in both hands). However, there will be other symptoms with carpal tunnel syndrome. 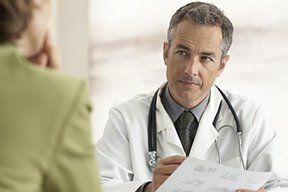 Can Cause of Numb Lips Be Serious Like ALS?